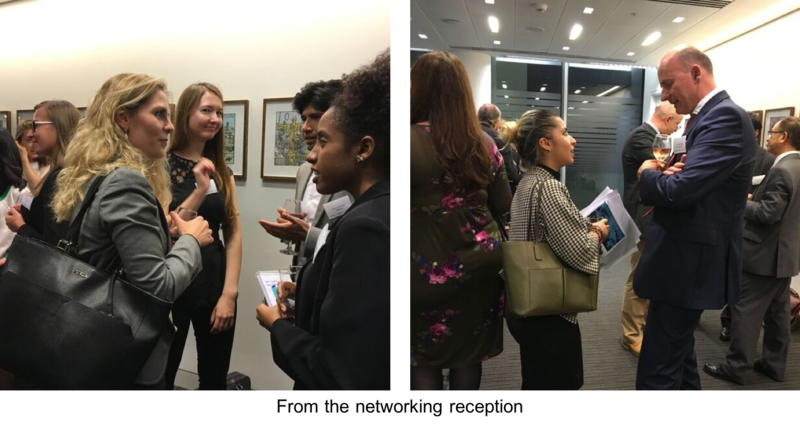 As part of its energy talk series, Access for Women in Energy, in collaboration with the Windsor Energy Group, organised an event on the latest oil market developments and the impact of Brexit on the relationship between the UK and its Middle East trade partners. 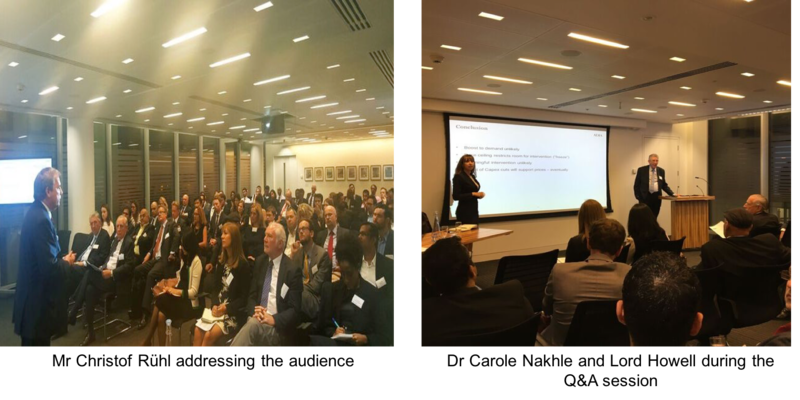 Trowers & Hamlins, a leading law firm with an international presence, hosted the meeting at their London office. More than 70 participants attended the discussion, which was followed by a reception. Our panel included Lord David Howell, President of the U.K. Energy Industries Council and Chairman of the Windsor Energy Group, and Mr Christof Rühl, Head of Global Research at Abu Dhabi Investment Authority (ADIA) and former Chief Economist of BP. The discussion was chaired by Dr Carole Nakhle, CEO of Crystol Energy and Director of Access for Women in Energy. Both the fall in the price of oil then its relative stability at half the level the world got accustomed to before summer 2014, and the Brexit have left experts and officials around the world wondering what would that mean to major economies in Europe and elsewhere and to Middle Eastern oil producers in terms of economic growth as well as geopolitical implications. According to Lord Howell, the UK has strong historical ties with the Middle East and trade is not just an isolated business mission; it needs a framework of soft powers which create the conditions for investment to flourish or not. To access Lord Howell’s talk, click here. Christof Rühl argued that, unlike conventional thinking, the recent fall in the price of oil had limited impact on the economic growth of major oil consuming economies whereas traditionally the collapse in energy prices always boosted growth. Christof added that a general conclusion on the impact on oil producers should be avoided given varying circumstances. Market fundamentals support current prices and a certain price ceiling seems to exist, thereby restricting the effects of any meaningful intervention. Christof’s presentation can be accessed here. Access for Women in Energy and the Windsor Energy Group want to thank our host Trowers & Hamlins and all those who joined us. We regret not being able to accommodate everyone who contacted us but we hope you can join us on future occasions.